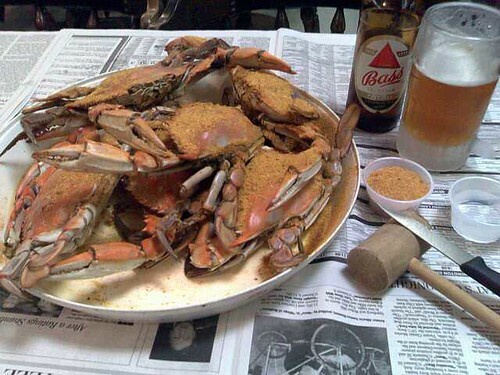 Maryland is well-renowned for crabs-plucked fresh from the Chesapeake Bay and steamed with a unique blend of spices. Brown paper covers the tables and the only utensils are small mallets and knives-and your fingers! Hard-shell crabs brought fresh from the steamer to your table are, naturally, the specialty. Crabs are seasonal; be sure to call ahead and check if they are available and to make a reservation. Crab cakes and steamed shrimp are on the menu when crabs are out of season.